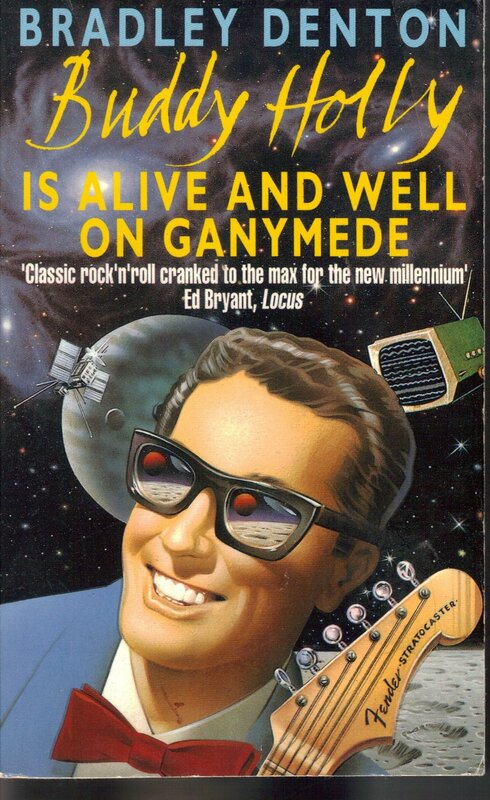 Back in 1991, Bradley Denton published Buddy Holly is Alive and Well on Ganymede. The next year, it won the John W. Campbell Memorial Award for Best Science Fiction Novel. Writes Cory Doctorow on BoingBoing, Buddy Holly is Alive and Well on Ganymede "is the great American comic science fiction novel, a book about the quest to exhume Buddy Holly's corpse from Lubbock, TX to prove that he can't possibly be broadcasting an all-powerful jamming signal from a hermetically sealed bubble on a distant, airless moon." Taking advantage of new innovations (new since 1991), Denton has made the novel available for free download on his website, publishing it under a Creative Commons Attribution-NonCommercial-NoDerivatives license. You can access the text in four parts here: Part 1, Part 2, Part 3, Part 4. If you become a fan, keep an eye out for a film adaptation of the novel starring Jon Heder. It's been in development for some time, but you can watch a trailer online. Buddy Holly is Alive and Well on Ganymede will be added to our collection, 800 Free eBooks for iPad, Kindle & Other Devices.